Turns out, there are still deals to be found in single-malt scotch. I spotted this bottle of Singleton of Glendullan at 15 years of age (an age statement! Glory be!) for $35 and snapped it up. 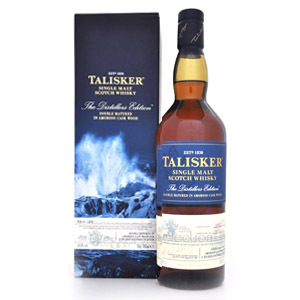 Even bad whisky can go into cocktails for $35 a bottle. Turns out, it’s not even bad. The Glendullan distillery is yet another one of those industrial factories that Diageo uses to spit out tens of thousands of liters of whisky every year, almost all of which goes into blends. 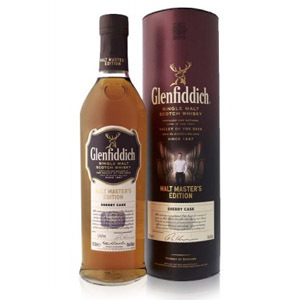 There have been both official and independent bottlings of Glendullan for a long time, but they haven’t been marketed or distributed with much effort, nor received much attention. Diageo uses this “Singleton” (which is an out-of-circulation word that means the same thing as “single malt”) brand to market under-the-radar malts that it owns and is trying to turn into international powerhouses through sheer will (and marketing budget) alone. For some reason known only to the marketing prodigies at Diageo, the Singleton brand was launched to aim a different low-visibility distillery at each continent of distribution. That meant The Singleton was Glendullan to North America, Glen Ord to Asia, and Dufftown to Europe. Apparently they’ve done away with this “strategy” and will be distributing all three Singletons to all markets. I have read – and I’m not sure I believe this – that The Singleton was recently the fifth best-selling brand of single malt scotch in the world. News to me. The Singleton of Glendullan is aged in ex-bourbon casks of undisclosed provenance and bottled at 40% ABV. The range includes a number of age-stated expressions. This is the 15 year-old. Nose: Lightly malty, and strikingly fruit-forward. Kiwi, green apple, faint coconut, and green banana. Not very much depth, but also not cloying. Delicate and pleasant. A rest in the glass ripens the banana, which begins to dominate. Palate: Medium-bodied, almost syrupy. Initially sweet, with cookie dough and caramel. Medium tongue burn (more than expected for 40% ABV), resolving into slightly bitter charcoal, nut butter, and marshmallow. Finish: Short. Fades with more marshmallow, oaky bitterness, and some muddy charcoal. Kind of a mess. With Water: A few drops of water coax a deeply sweet buttercream vanilla frosting note from the aroma. Now it smells like banana cream pie. The palate seems less distinct, and there is more of a bitter walnut note. Try both without, and then with water. Overall: Reminds me of Glenlivet 15, which is better (and only $3 – $5 more, depending on your market). 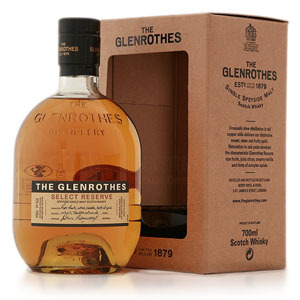 The nose promises light & fruity, but the palate delivers sweet and doughy, and nary the twain shall meet. The finish is a muddle and doesn’t resolve. Forgettable, but inexpensive. You won’t regret dropping $35, but you would regret dropping $50. 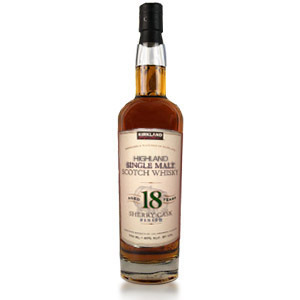 If you see Glenlivet 15 for the same (or similar) price, I’d suggest starting with that one instead. For the combination of price, age statement, and drinkability, this is Recommended. The Glendullan distillery was established in 1897 in the city of Dufftown in the Speyside region of the Scottish Highlands. The distillery sources its water from Conval Hill springs and also process water from the river Fiddich. There are three wash stills and three spirit stills. The site is now owned and operated by Diageo, and most of its output goes into blends like William’s and Old Parr. You’ve really got to stop commenting on prices (kidding…sort of). I really like your writing, but when you mention that Glenlivet 15 costs $40 ish dollars where you are, I want to throw my phone or computer. That particular whisky is $90 here in Ontario. I’ve only ever seen the Singleton of Dufftown here, but it’s at a price point that seems high for what it is ($60 ish for a low strength average-ish Speyside? No thanks) and there are plenty of higher-powered bourbons I can get for that price or lower. Unfortunately for Ontario residents, the LCBO is likely one of the most expensive spirits markets in all of the US and Canada. To be fair, though, it seems California (where the Noob resides) is on the other end of the spectrum. I live in South Carolina and periodically place orders from two different stores in CA. Even when shipping just four bottles the low prices make it very worthwhile. Especially so when they have sales or promotions. Some day…California is really far from Ontario. And my wife has this crazy notion that our trips should revolve around our kids more than my desire for large quantities of whisky. Women, amirite?!! In my area there is a 12 year old version that’s even cheaper which has just appeared in the past few weeks. I haven’t tried it yet as I haven’t seen any reviews and I’m still working through a Speyburn 10 as my value bottle of my cabinet but I think I’ll pick it up next. Possible. 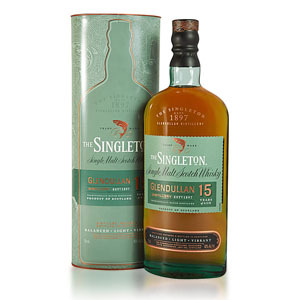 They were referring to the “Singleton” brand, meaning the whole of “Singleton” single-malt bottlings for Glen Ord, Dufftown, and Glendullan. I still doubt it could possibly be true.